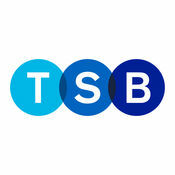 The buzz for biometrics gets bigger with TSB now eyeing up the launch of iris scanning tech to let users login into bank accounts by glancing at their phone. According to the BBC, some TSB customers will be able to do this from September when the bank introduces iris recognition to its mobile banking app. But they will need the latest Samsung Galaxy S8 to try it out. “It will be the first bank in Europe to introduce the technology, but its arrival will test customers’ trust in biometric technology,” says the BBC. He then ran through the usual stuff about security, speed and convenience – such as no need to remember secret numbers or passwords. As always with cool, clever ideas – someone wants to rain on the parade. The BBC points out that in May, a German hacking group, the Chaos Computer Club, said it had fooled Samsung’s iris scanner with a photo used to make a dummy eye. Samsung countered this curmudgeonly claim by insisting that it would take an “extraordinary set of circumstances, where someone had access to both the phone and a high definition photo of its owner’s eye, to beat its system”. Elsewhere, other banks have had similar ideas. In January, DCB Bank, a private sector bank in India, said it plans to allow customer transactions and account opening through iris scans for Aadhaar authentication. In the US, plenty of banks are doing this already. According to Fortune, these include Wells Fargo and Citi; and credit unions like Arizona Federal Credit Union and the Hawaii State Credit Union. HSBC has lost more customers since the introduction of the UK’s account switching service than any other major retail bank, according to figures published by advisory firm TNS. Bank says service went down for 30 minutes. Not all agree. UK and South Africa united in fintech grief. Seems to be resolved now, but it kept consumers unable to log in.